It turns out we can’t just let the wilderness run wild. The National Park Service is changing its hands-off approach at Isle Royale National Park in Lake Superior. Left alone, the wolves of Isle Royale are dying out. So federal officials have a plan to relocate 20-30 of the elusive predators. They will capture wolves from the mainland and move them to the lake’s archipelago over several years. The first new inhabitants will arrive in the park this fall. The wolves are an important part of the park’s ecosystem. If they die out, the moose population will become too abundant. 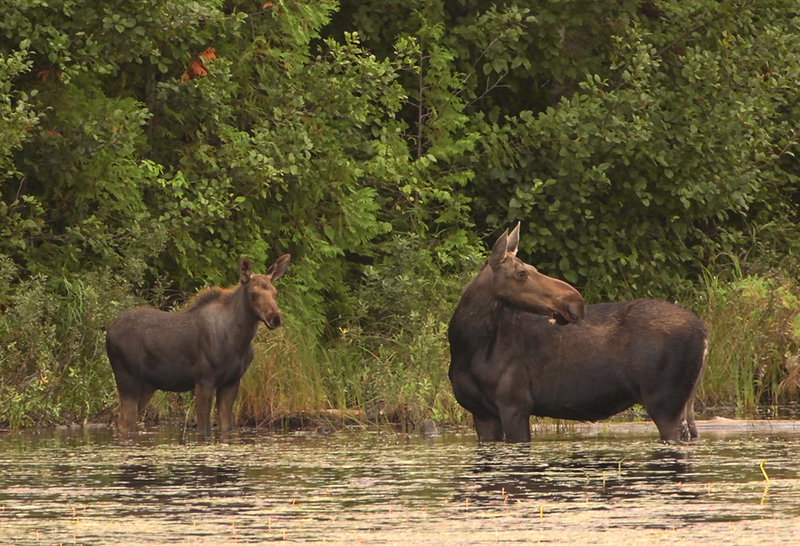 Too many moose will overeat the park’s trees and shrubs—allowing soil to erode and decimating their own food supply. Predators like wolves often get a bad rap—especially in populated areas where humans raise livestock. But in the wild, they are essential. Cam Sholly is the National Park Service’s Midwest regional director. Sholly says it is critical to “obtain a proper predator-prey dynamic within the Isle Royale National Park ecosystem.” Doing so takes human management. That’s a direct parallel with the mandate God gave to humankind at creation. He told His people to “have dominion over…every living thing.” (Genesis 1:28) God created everything in perfect balance. But He shares the work of maintaining that balance and causing it to flourish with His image-bearers. He delights to put us to good work in His creation. Part of that work involves study. Another part, action. Scientists aren’t sure how the wolves first made their way to the island park. They think they may have crossed an ice bridge from Canada or Minnesota in the 1940s. 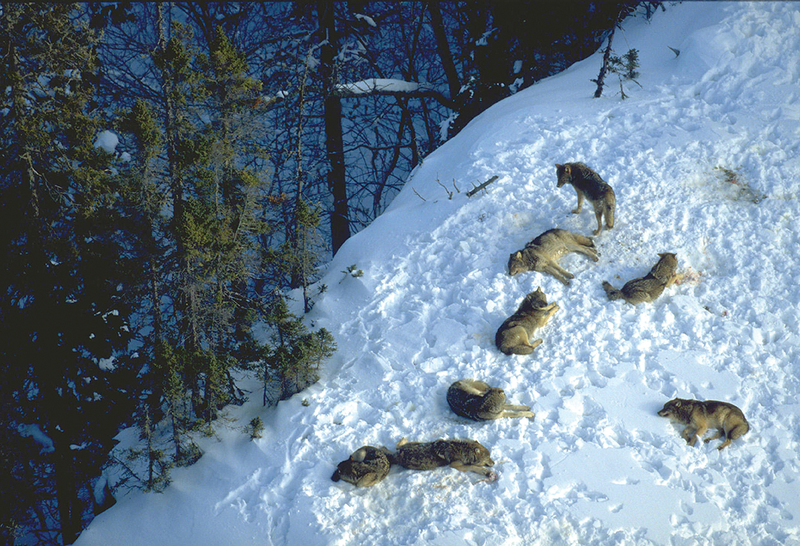 The wolf population in the park grew until the early 1980s. About 50 wolves were noted there then. But the numbers fell again—probably due to genetic weaknesses from inbreeding. Presently only two remain: one male and one female. The two are closely related and unlikely to breed—which is not a bad thing. 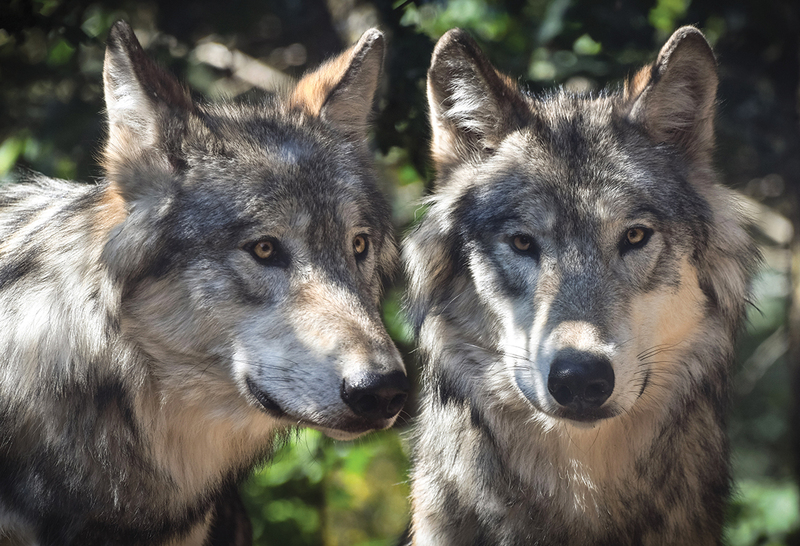 New unrelated wolves should help to strengthen the population as they arrive and reproduce there. The park service plans to seek suitable wolves from around the Great Lakes region, including Michigan, Minnesota, Wisconsin, and Ontario. They will try to find roughly equal numbers of males and females. About six to 10 wolves will be relocated year one, and a few dozen more over the next four years. 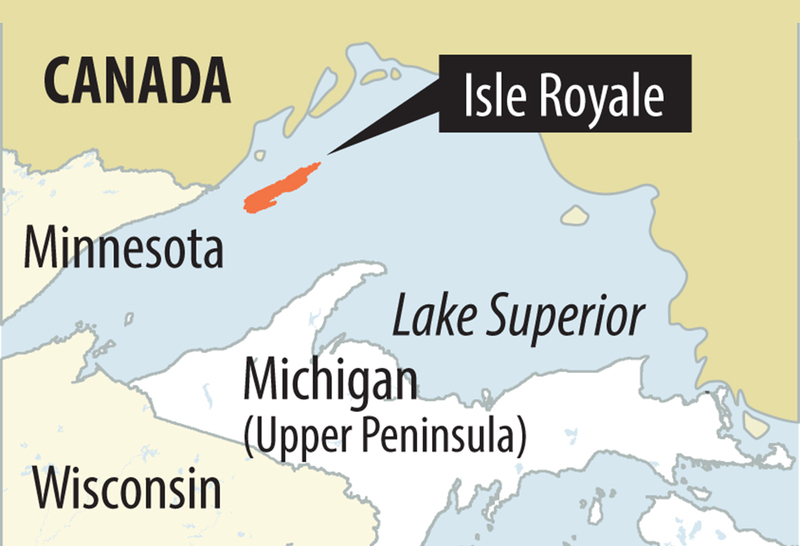 “We hope to capture from as many wide-ranging geographical areas as possible to maximize genetic variability,” says Isle Royale natural resources chief Mark Romanski. 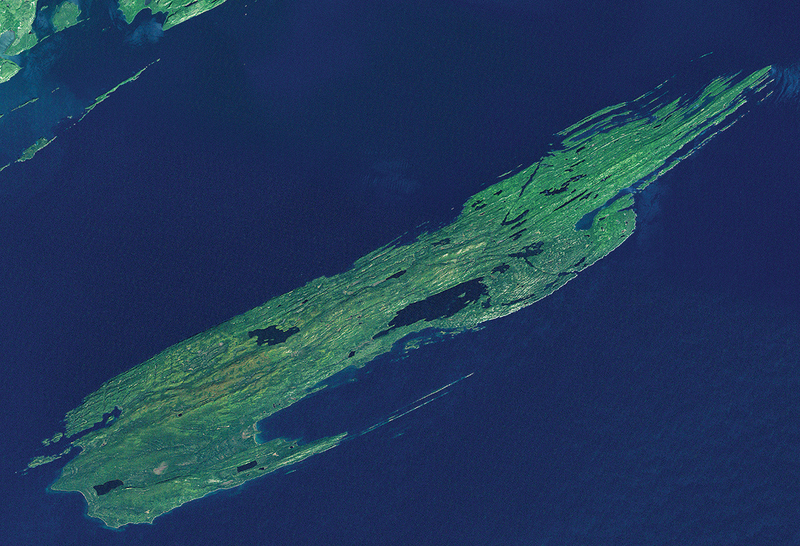 Isle Royale is closer to Canada and Minnesota but is actually part of Michigan. I'm glad they're helping the wolf population, I just hope the new wolves aren't a danger to the two wolves already there. Oh, and by the way, I'd pick a wolf over a moose any day. Wolves are so beautiful! And lol Rachel! They are so beautiful. I wish I could keep one!! The moose pictures in the slideshow look like horses! Andrea B, you are so right, lol! They look like giant horses without a mane! iam so glad that wolfs are making a come back! Does anyone else think wolves are adorable? They are one of my favorite animals. I think wolves are the most adorable animal ever! I hope to work with them someday. Have any of you read White Fang or Call of the Wild? They're both good books about wolves. Poor wolves! they're so cute, i hope they don't die out , that would be so sad! They're just such amazing creatures that some people don't like because they think they're dangerous. Yes, they can be, but they are beautiful creatures and they are just acting naturally! I hope the wolves are OK! i do kind of like wolves and they are actually kind of cute. i do hope they save the wolves tho. Also, if you KILL OFF all the wolves, deer will overpopulate. The grass will disappear, and the mice and such will leave. So will the bugs, and then the birds have nothing to eat. The whole biome is messed up. Wolves need to live, and they aren't really 'evil,' haha! I agree Hannah M! Recently I rewrote the story of The Three Little Pigs and made it so that is was the pigs who were being mean to the poor wolf. I do agree that stories like The Three Little Pigs are a bit irregular. I'm sure stories like that were made so that children would stay away from wolves. Wolves were meant to eat meat, but if people are invading their territory and hunting all the prey, the wolves have to resort to hunting and eating farm animals. It isn't their fault, but rather our own. I read the Call of the Wild! It's such a good book! Still have to try White Fang. I'm glad they made them look like evil wolves in The Hobbit. Oliphants, dragons, Wargs, and the Horses of Rohan are my favorite, though. Wolves are sooo cute. I agree with Rebekah. funny comment. I love the Lord of the Rings too! Who are your favorite characters? I like Aragorn and Legolas + others. Aragorn and Arwen are my favorite characters. I love wolves! I watch so many documentaries on things like this! Sam Gamgee and Aragorn are my favorites! ....I had better shut up now about Middle-Earth before I talk too much about The Silmarillion. Oh, who here is a Tolkienite? I like wolves even though I’ve never seen one I’ve seen coyotes and I kinda like them. We shouldn’t let them die. Save the wolves! I meant bad not mad. Stupid autocorrect! Wolfs are so beautiful! Their eyes give me the heebee-jeebees!